From the centuries-old churches to the towers and everything in between, European architecture never ceases to amaze and inspire me. Welcome to week 306 (12/15/2016) of Travel Photo Thursday. This week I am sharing with some of my favorite European architecture photos taken over the years. This week is one of the most stressful weeks of the semester for me, so when I need a break from grading, I get lost in my photo archives. I hope you enjoy gazing at these shots as much as I do. 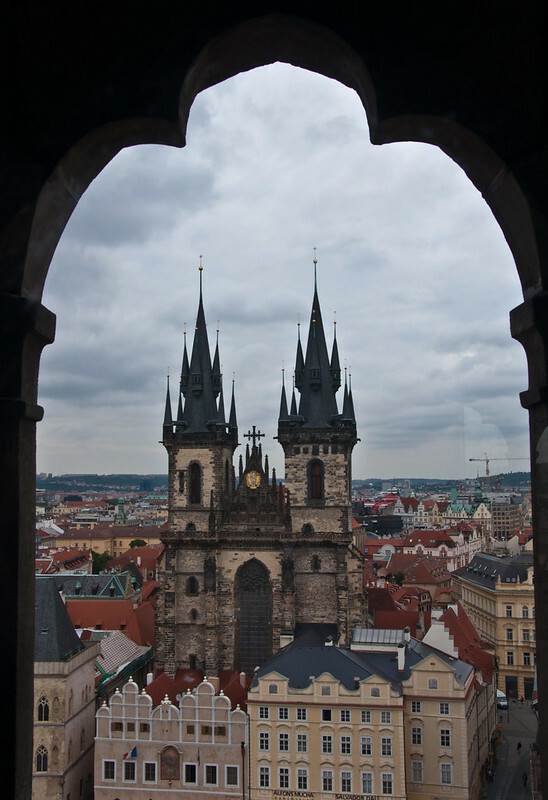 I climbed the tower in Prague’s Old Town at least five times during my visit to this architecturally rich city. My primary reason was to capture Church of our Lady Tyn. I could not get enough of the beautiful steeples, and this is my favorite photo of many. The framing and the cloud covered sky make this shot for me. The funny this is, I never actually went inside the church. Every time I went by it was closed. What a great reason to go back to Prague, eh? 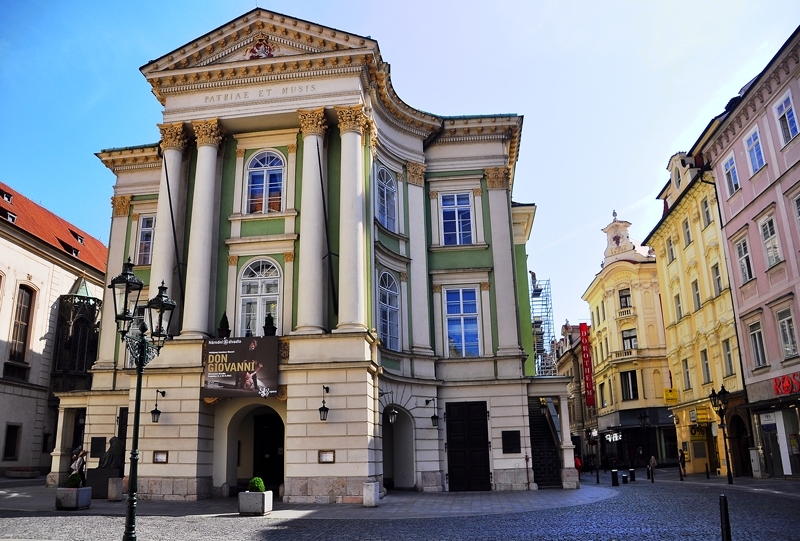 Estates Theatre, Old Town Prague, has been operating without interruption since 1873. I was lucky enough to snag a ticket for the last Don Giovanni performance of the season. The inside is as beautiful as the outside and keeping my eyes focused on what was happening on the stage was not an easy task. 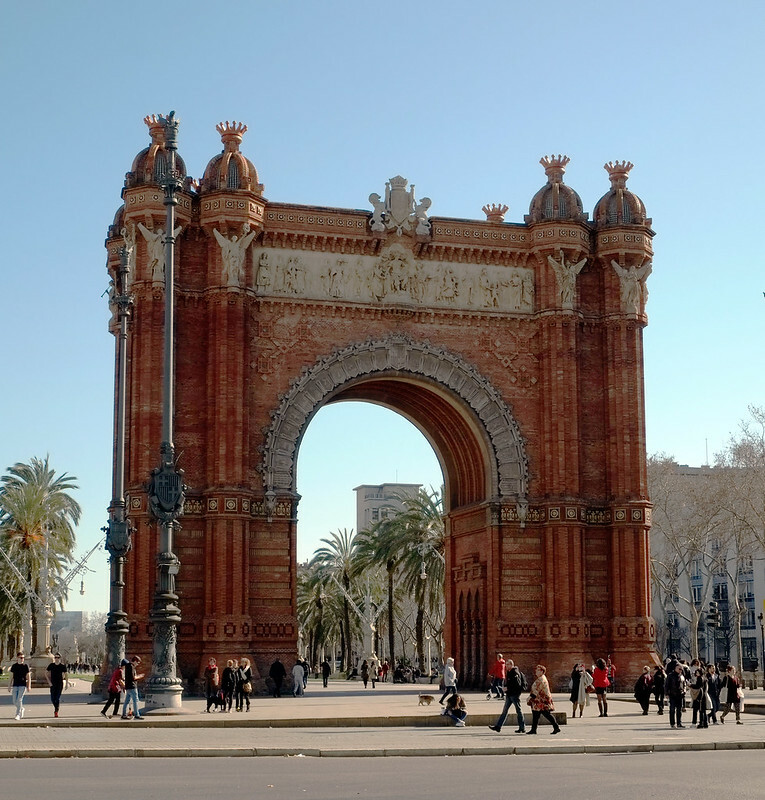 Barcelona’s Arc de Triomf is another piece of European architecture that is worthy of note. Built as the gateway to Barcelona’s 1888 Universal Exhibition, the arch deserves an up-close look. I love the intricate details, and can only imagine the work and craftsmanship involved. I don’t think I’ve seen parliament buildings more beautiful than the Hungarian Parliament in Budapest. Daily tours are available but do check ahead. The day I went it was closed to the public due to a government function. 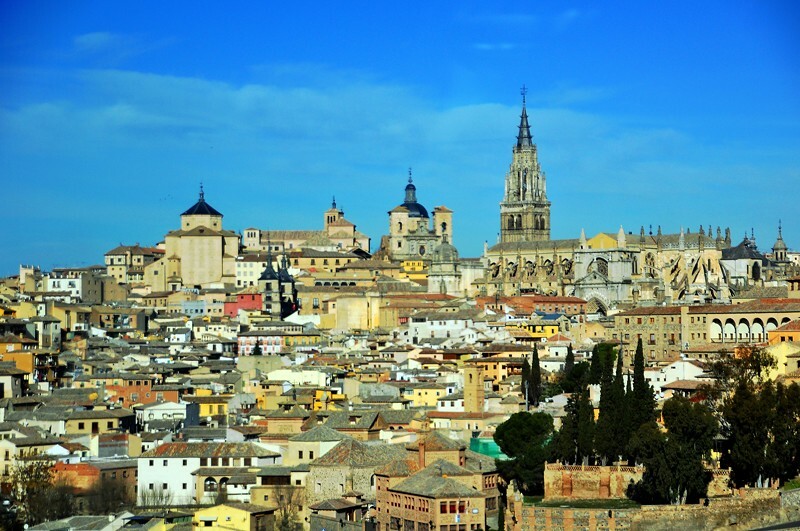 I was completely mesmerized by Toledo, Spain, and the town’s stunning historical buildings. Do you have favorite European architecture building or location? Let us know in the comments. Church of our Lady Tyn is spectacular. I’ve haven’t been to Prague but with fairy castle looking churches like this I can’t wait to get there. Hi, Jan! I spent a month in Prague and loved every moment. I would not hesitate to go back :). I would love to see some of these places in real life, particularly Prague. I have seen the Arc de Triomphe in Paris and seen some of the old buildings in Istanbul Turkey. Next year I’m travelling around Italy so I’m sure I’ll get my fill of architecture then! Hi, Kathy. It’s been years since I’ve been to Italy. You will love the architecture (and everything else)! Hi, Ruth! Yes, I don’t think I have been to any European city where I was not impressed with the architecture. I’m not a big fan of Korean architecture. The temples are pretty, but for the most part, all the same. The new buildings here don’t excite me either. I was crammed in a metal tube at 39,000 feet on Thursday heading to Seattle from Cairo. Just now getting caught up with blogging so I’ll be visiting you all soon. Gotta do laundry and conquer the jet-lag so bear with me for a day or two. . .Nancie I love the look at Europe. . .I can’t get enough of it! Hi, Jackie! Nice to hear that you made it back to Seattle safely. Get over you jet lag soon! I would really like to explore Europe more. Of all the cities you picture, Barcelona is the only one I’ve visited, and I don’t think I made it to the Arc de Triomf. Both Prague and Budapest are high on my list. Have a good staycation. I love the framing on that first photo. Prague is a magical city. I don’t think you need to go into a single building to appreciate its beauty. There are some great photos here. I would love to get back and explore Europe some more. Hopefully soon! I remember stumbling across Barcelona’s Arc de Triomf on a walk one morning during our month-long visit there and making it one of my favorite points to return to on subsequent walks. All of these photos serve as travel inspiration but your first picture of Prague’s church of Our Lady Tyne is fabulous. Can’t wait to travel there! We just returned from our 2nd trip to Seville and our first to Cordoba and have some great places to share with you. You’ve reminded me that Toledo should be at the top of our list next time we when venture into Spain. Looking forward to some road trips with you when you make it our way again! Happy Holidays! Nice collection – and all of places I haven’t gotten to yet! From the list I have only been to Prague and it was hands down one of the most beautiful cities I have visited after St. Petersburg. Lover the bridges and the old architecture. I lived in Spain for over a year, but never made it to Toledo. I must say it is quite similar to the architecture I saw around the East Coast anyhow so I feel like I have been there anyway ha! Thanks for sharing your amazing photos with us! Wow! I can’t believe you climbed those steps so many times. No FitBit required on your trip! 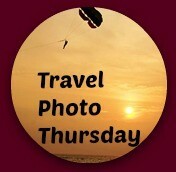 I really enjoyed your photos they provide a terrific look at Prague. Thanks!